The federal government and Assembly of First Nations (AFN) say they’ve reached an agreement to reform the way K-12 education is funded in First Nations. An announcement of the co-developed plan was made Monday and will take effect on April 1. It includes replacing the “outdated proposal-based programs with improved access to predictable core funding,” and bringing base funding in line with that of provincial systems across Canada while “working towards additional funding agreements based on need to better account for factors such as remoteness, school size, language, and socio-economic conditions,” according to a statement released by Indigenous Services Canada. 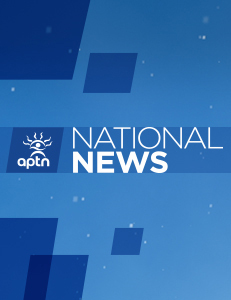 “This new approach is an important step toward First Nations taking greater control of planning and delivering education based on real need,” said AFN’s Ontario Regional Chief RoseAnne Archibald, who is also the AFN’s portfolio lead on education. The changes will also provide First Nations schools with $1,500 annually per student for language and culture programming, will include resources to support full-time kindergarten for four and five-year-old students, and make special education funding more accessible. “Ultimately, this new approach is an important step toward the creation of new Treaty-based, regional and/or local education agreements that put First Nations in control of First Nations education, and will better meet the needs of students,” Monday’s new release reads. When public students receive 5000$ each and our First Nations students receive 3000$, how do we expect them to compare? How was this able to continue for so long? What are the speculations? Probably need an Educational Agreement with the province. For our First Nation this worked out to be tens of thousands less than current funding with less flexibility over that funding. Hopefully people do the math on what this will mean for their First Nations. Is this in addition to language and culture funding we received this year? It is well past time for this to happen. This is really good news.